With Rosie, we started by laying out a game plan for her business rather than just discussing her site and design. We helped her develop a business plan around her desire to expand her reach using the internet so that she could turn her local success into a nationwide phenomenon. Rosie is herself a content machine. This was both great for us and tough for her. She had so much great content that it was hard to figure out what should come first. In the end, we went back to basics: what do you want visitors to your site to do if they do nothing else. 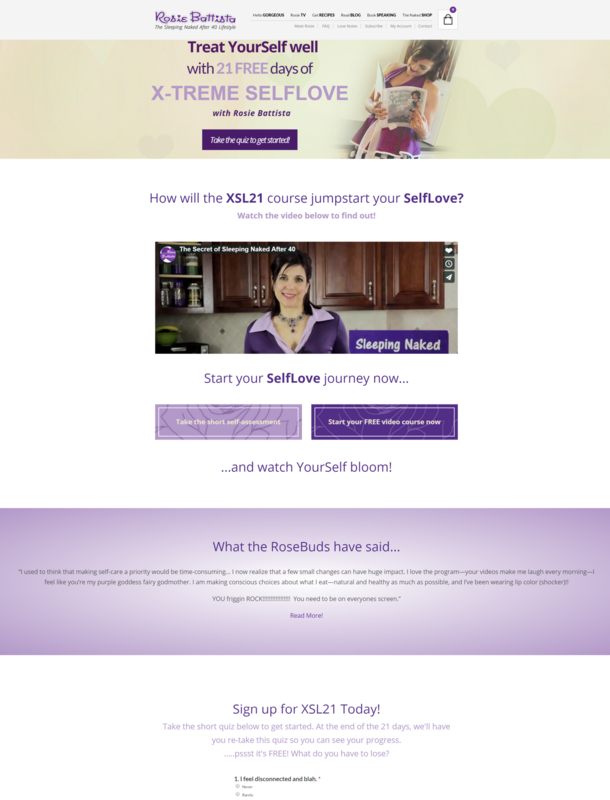 That led to the creation of a home page design that got people to start with her free program. The reason was to show how big change happens by simply taking that first step. We created a 21 day free program of her best advice and encouragement to show people how little things can add up to something really big.